Crossbows vs. 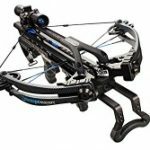 Compound Bows: Which To Choose? 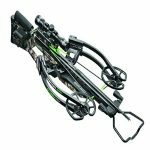 In the world of archery, there are tons of bows to choose from. These types of bows even have sub-classes of their own so it can be real tricky to choose the right bow for you. We’re going to narrow down that list, what would suit you better? 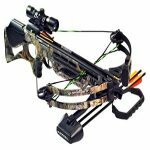 A crossbow or compound bow? I have used both bows, but not every brand of each type. So, this is just a quick overview of the qualities each bow possesses. 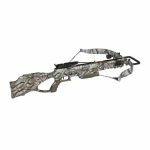 The crossbow and compound bow are commonly used in hunting and are both excellent bows; no bow is more superior to the other. 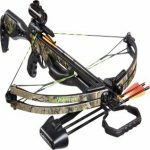 One of the obvious qualities we can see is that the crossbow’s limbs are mounted in a horizontal fashion compared to the compound bow’s vertical limbs. Also, the compound bow’s string is pulled and locked into place, just waiting for the pressure on the trigger. Meanwhile the compound bow may not have a lock to pull back the string all the way; it does have a ‘let off’. The let off literally lets off some of the draw weight, meaning if my draw weight is 80 pounds, after the let off, I’ll only need to maintain 20 pounds. Loading Time – this is the time where you prepare to fire an arrow or you load the bow. Mostly uses a crank and only the string is drawn back. The arrow would go in after the string is locked in. Can be time consuming, especially if you go hunting and miss the first shot. The arrow gets loaded first and adjusted until you hear a soft click. If you were to aim or shoot at a target, you draw back the string just like any other bow, with the exception of the let off. Loading the next shot only takes a moment. Winner: The compound bow. I’d be frustrated to load the crank on a crossbow as I watch the game get away! Draw Back – the moment when you draw back the string and you’re ready to shoot at a target. Once the arrow is loaded, you can shoot at the target when you pull the trigger. Able to walk around and aim without anything else to do. Comes with a safety mode so you won’t accidentally hurt yourself or your companions. The draw back before the aim requires the right stance. When the string is drawn back, some of the weight will only be let off but that doesn’t mean it’s locked in position. Immediately going into proper stance might scare off game, not going into proper stance will leave you with shots miles away from the target. Winner: The crossbow. In a hunt, I don’t want to be always drawing back the string while tracking down game. 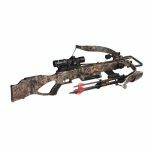 The crossbow can let me carry it while loaded, and then I can shoot it just like a rifle. That’s easy! Weight – this is the actual weight of the bows and not their draw weight. A compound bow can weight around to 4.5 pounds. Winner: Who wants to carry a lot of weight all the time? No one. So compound bow it is. Accuracy – basically, how right on point is that shot of yours? Adjust your sight and position. Once your eyes are on the target, safety off and fire. When your aim is right, then you have your bull’s-eye. When the target is on sight, make sure to do all the correct adjustments. You must be in proper stance even while aiming. Winner: Well for surprise targets, like in hunting, I’d choose the crossbow. The bottom line is, no matter how easy or impractical a bow is for me, that doesn’t mean the same will apply to you. So have fun! Try out different bows, miss and make mistakes; the worst thing that could happen is you’ll learn from experience. Then you can share these experiences with others just as I shared mine with you.